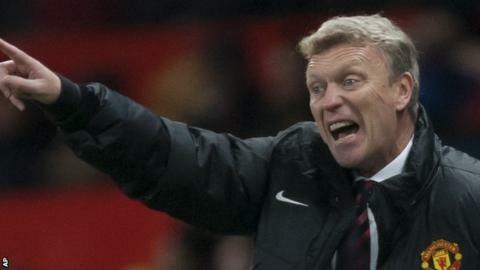 Manchester United manager David Moyes is confident he will get things right at Old Trafford. Wednesday's home defeat by his former club Everton, sees Moyes' side 12 points adrift of league leaders Arsenal ahead of Saturday's visit of Newcastle. "When people go into new jobs it can take a little bit of time to settle in," said Moyes, who replaced Sir Alex Ferguson in the summer. "We have to do better. But we will get it right. I am sure of that." In his 22 games in charge of Manchester United (all competitions), David Moyes has overseen 12 wins, six draws and four defeats. United have now lost more league games this season than they did in the whole of their title winning campaigns of 1998-99 & 1999-00. Moyes has guided Manchester United into the knockout stage of this season's Champions League but a first home defeat to Everton for 21 years leaves them in ninth place in the Premier League. Prior to the midweek defeat to his former charges, Moyes' side were unbeaten in 12 games but he admits performances need to improve. He said: "We have lost one in 13. If someone had been told before those 13 games we would lose one out of the next 13 the response might have been 'that is really good'. "Obviously when you get to that point you don't say that. "Of course I understand the fans' concerns. "They want their team to win. I do as well. We need to try and improve how we are playing. We need to try and improve our results." Meanwhile striker Wayne Rooney has been handed two days off by Moyes. Rooney, who has scored 10 goals for United in all competitions this season, is suspended for the weekend after picking up a fifth booking against Everton. "It is a big loss to lose Wayne," said Moyes. "But it was always going to be the case at some point because we have not had a chance to rest him or give him a break. "This has given us an opportunity so he has been given Friday and Saturday off. They are probably the only days he has had off this year."